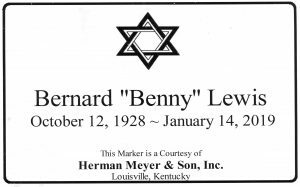 Bernard “Benny” Lewis, 90 – Herman Meyer and Son, Inc.
Bernard “Benny” Lewis, 90, a Louisville native, died January 14, 2019. He was preceded in death by his wife Rae Bliss, parents Abraham and Annie Lewis, and sister Ada Freed Fox. He graduated from Brandeis School of Law and practiced law for more than 40 years. 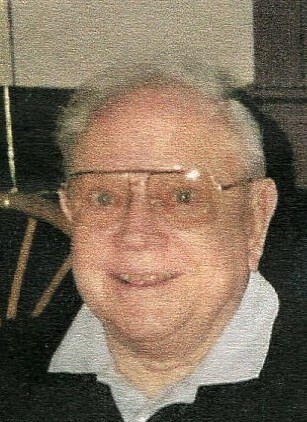 He was a member of the American Bar Association, as well as the Jefferson County and the Louisville Bar Associations. Benny is survived by nieces and nephews and his very dear friend, Bobbie Rouben. Funeral services will be held at 2 p.m., Wednesday, January 16, 2019 at Herman Meyer and Son, Inc., 1338 Ellison Ave. Interment to follow in Keneseth Israel Cemetery. Visitation begins at 1 p.m. Expressions of condolences to Kosair Charities, P.O. Box 37370 Louisville, KY 40233-7370, are appreciated.